Set your clocks this Wednesday-High Proof Toys will be releasing some cute resin figures in their online shop in very limited quantities! The first is a new character from their New Friends! collection. 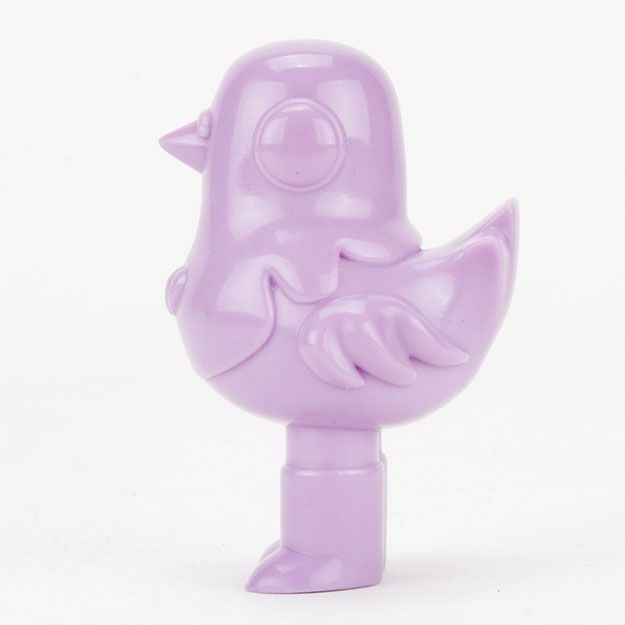 Introducing Bird Type, a 2.5-inch with just a little bit of attitude but is still very cute. The first colorway is called “When Doves Cry,” a pretty light purple in tribute to the musician Prince. Is it just us or is this channeling Prince’s hipness? 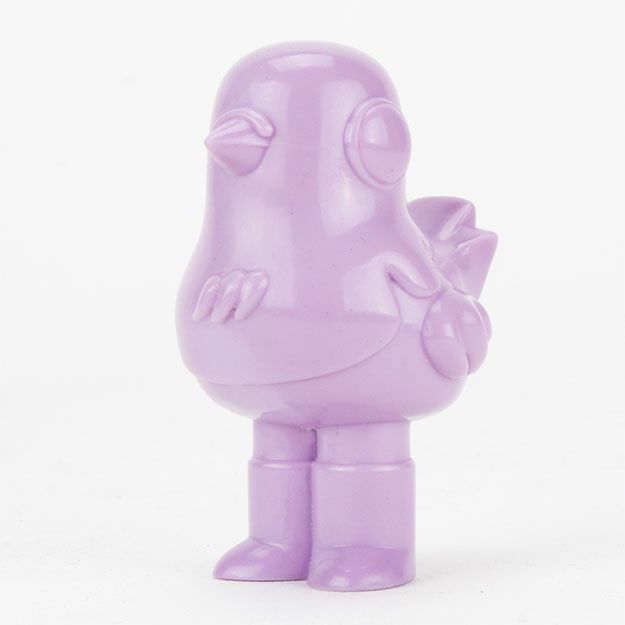 In addition to Birb Type, High Proof Toys will also be releasing a special edition of their Rock Type figures. 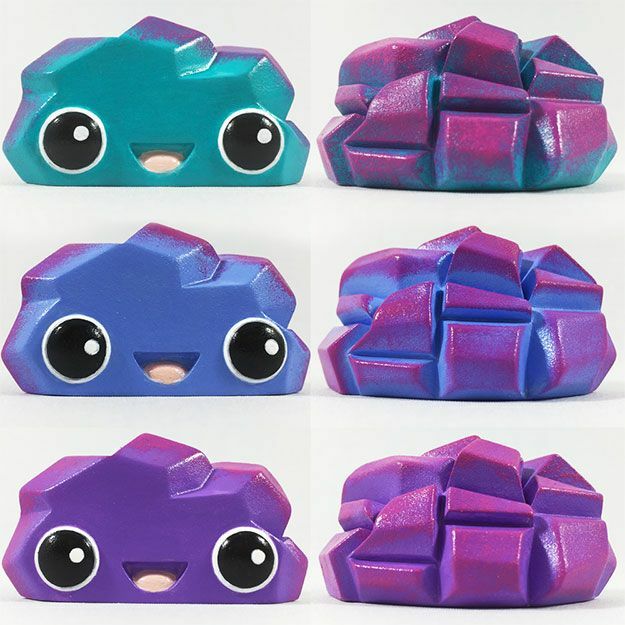 These “Blushing” Rock Types are handpainted by High Proof Toy’s Mary Ruth Butterworth and really do look like they’re blushing. So cute! 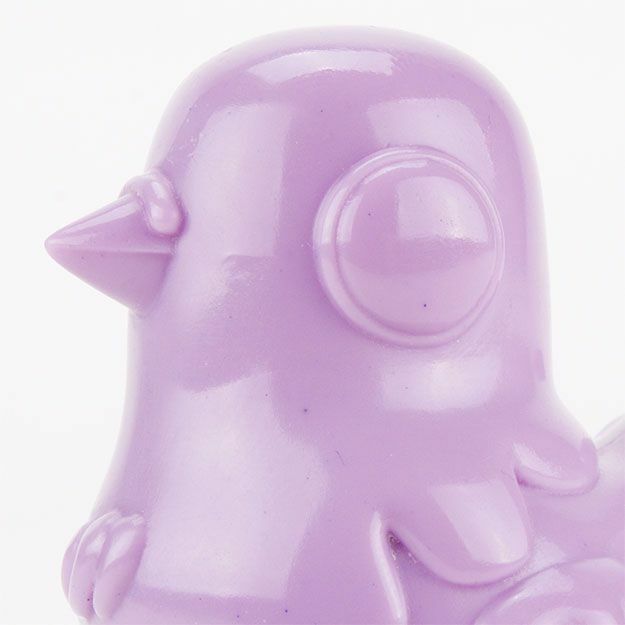 When Doves Cry Birb Type and Blushing Rock Type will go on sale June 7, 2017 (yep-on Prince’s Birthday!) at 10AM CST exclusively in High Proof Toys’ online store. Get yours for $35 USD each. But don’t wait-Birb Type is limited to 5 pieces and there are only 3 Blushing Rock Types available. We expect these to sell out fast!